When we were all growing up, it was considered to the next level of cool and revolutionary to have a toy that could light up and make noises, a doll that said a stock phrase whenever you pressed her hand, or a car that made revving sounds whenever its wheels were rotated at a certain speed. But technology has certainly come a long, long way since then, and the children of today are getting to explore toys that are cool and revolutionary in entirely new ways. 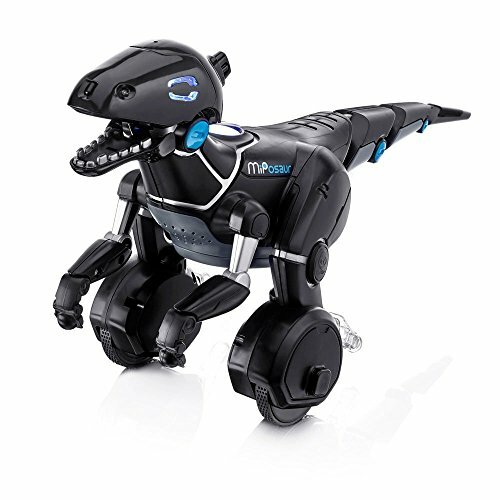 One of the most cutting edge types of toys available out there on the market today is remote controlled robots. We are familiar with the concept of remote controlled toys – some of us have vivid memories of remote controlled racecars similar to RC in Disney’s hit Toy Story (now that we are older, it is of course becomes abundantly obvious that “RC” stands for “racecar”…what else did we miss in those movies the first time we were watching them as kids??). But remote controlled robots are a step above remote controlled cars, boats, planes, and whatever else we were motoring around back in our childhoods. Remote controlled robots do not just move, they also do. And there is not much of a limit to the awesome things these robots can do. Remote controlled robots can walk, talk, dance, take aim and fire, and more. Remote controlled robots are also an awesome way to teach your child some skills that could end up being extremely lucrative later in life. While the remote controlled cars of our childhood were controlled by levers and buttons, many of the remote controlled robots of today are controlled using code. Coding is a valuable ability that could come in handy for your child when they want to become the next Mark Zuckerberg or Steve Jobs. INTERACTIVE ROBOT: the SGILE remote control robot can walk, shoot bullets, slide, dance, swing arm, and even repeat a set of actions which have been inputted by the user. TWO MOVEMENT TYPES: Walking and Sliding Mode for going forward / backward, turning left / right at the command of the user. The flexible arms make the control robot more realistic. SELF- PROGRAMMING: Press the "Program" button to execute commands or replay programmed movements. The control robot can remember movement with a maximum of 50. FIGHTING MODE: the X-man robot can entry combat mode ,where the bullets can be shot towards various directions in the air like a hero. Colorful LED eyes combination of sound makes a more interactive play time. The SGILE can really do it all: walk, slide, dance, even shoot bullets! This robot is fully programmable and also fully remotely controlled. If you have a budding choreographer in your household, this may be the toy for them. 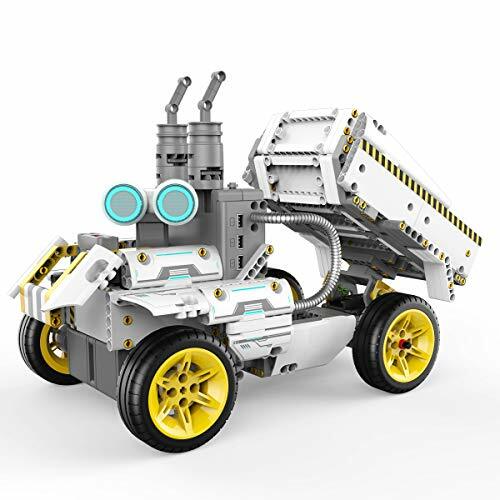 Introducing buildable, codable Robots from UBTECH Robotics construct DozerBot, DirtBot or design your own JIMU Robot creation. Learn to use Blockly coding to program your robot to navigate obstacles, carry objects, create color effects and more. Create entirely new, custom actions with the PRP (pose, record, play) function. No tools required - our 3D, 360° animated building instructions walk you through the steps. Who does not want their kid to grow up knowing how to code? 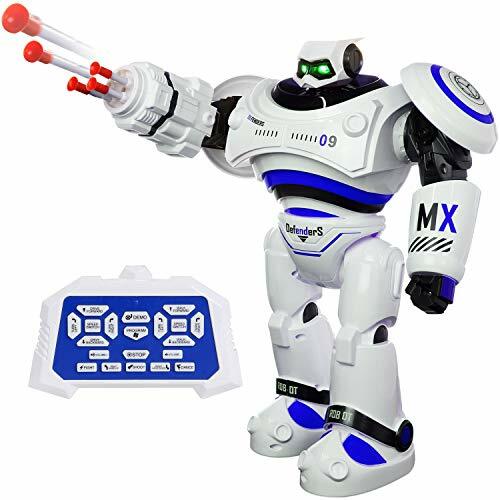 This robot from UBTECH is fully codable and will incentivize your kids to see coding as fun when they are able to watch their codes come to life in this robot’s actions. Learn to use Blockly coding to program your unicornbot's special color sensor using eight magical color cards. Program the magical horn with different colors to customize and personalize your unicorn creation. You probably (definitely) will not be able to get your little tyke a pony, but you can definitely get them a unicorn! 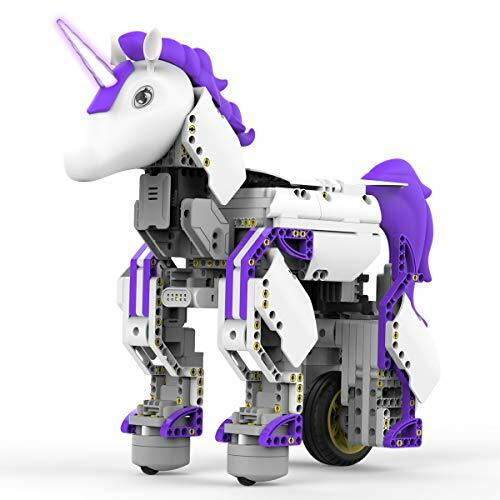 The UBTECH Unicornbot is also fully codable and comes in a funky purple color, except for the horn, whose colors your little engineer can swap out as they like. What is the one thing you wanted most after watching the Star Wars movies as a kid? Okay, let’s be real here, we all know it was a lightsaber, but what about something a little less…dangerous? It would definitely have been a droid, your own personal R2-D2 or C-3PO! 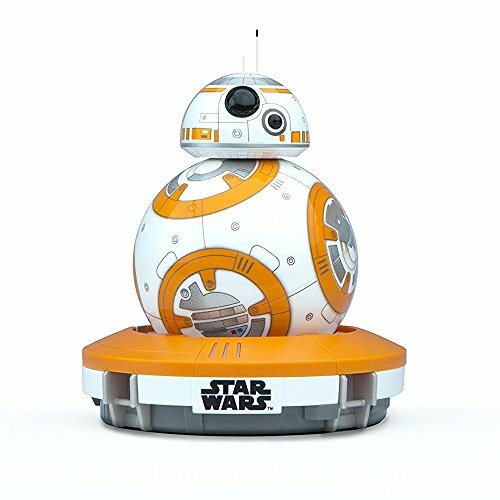 Now your kid can actually get one with the Sphero BB-8. Even cooler, they can program their BB-8 using apps on iOS or Android phones. Wait a minute…does that mean they will have to be using your phone all the time? ?